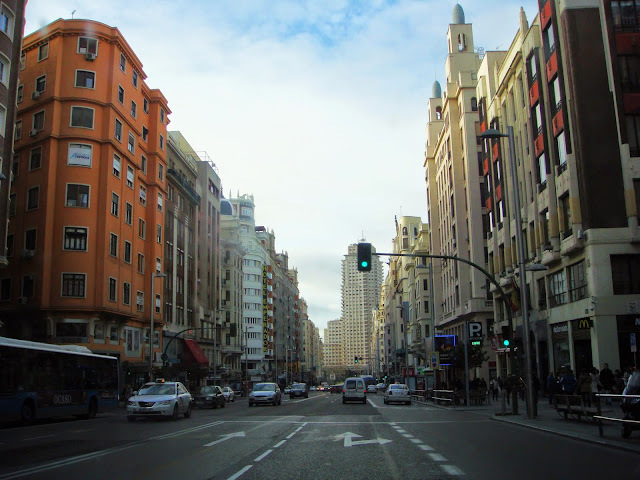 TOP SPOTS TO BIKE: MADRID, the city that never sleeps. Landing in this capital city after a long flight? Waiting for your bike tour to start? With so much to do, staying awake here is not a problem in this great Spanish City on the eve of a coronation. It’s the middle of the night but the traffic on the M30, Madrid’s main motorway around the city, still buzzes by at high speed and in great quantity, giving a 24-7 hum to a town known for its night owl culture. But aside from this highway of activity there are still enough green parks and warm benches in the city’s plentiful plazas for those not blessed with hyper activity. Guidebooks have a bit of a problem nailing down a pat description of Spain’s capital, as it is a bursting diversity of old and vibrantly new in constant flux. However, all agree that if it is a bar or restaurant you are after you are spoiled for choice as this is the place to find it and some of the tastiest nibbles in Europe. Tapas, meaning “lid” and perhaps Spain’s most famous dining experience is a simple and attractive way to spend your time here. 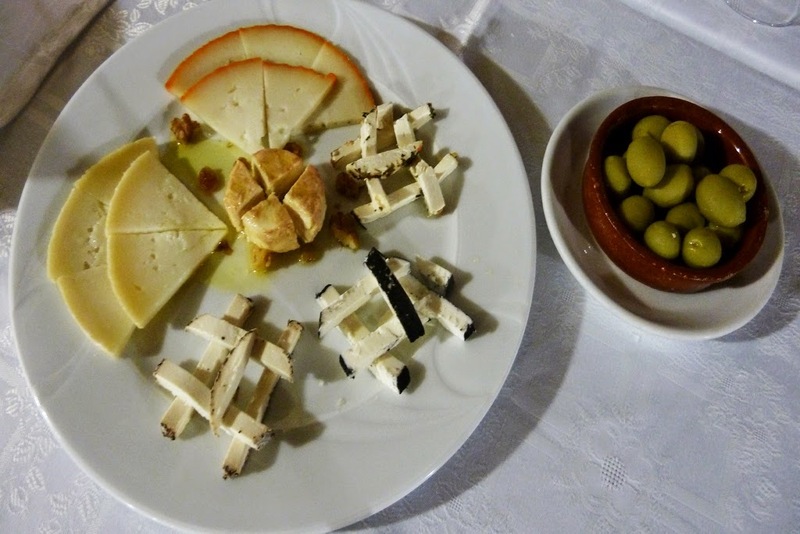 Tapas formally a custom in the south provinces was originally adapted from the placing of a small dish over the glass of wine or beer to hinder flies from alighting. With the addition of a small portion of food on this disc came the birth of a culinary particularity of Spain. As you perch on bar stools in the warmly lit pubs, conversation flows around you in the rapid fire Spanish that Madrileños speak. Your order of a glass of vino tinto is accompanied by a most friendly sized portion of chilied olives with more than a hint of anchovies, followed soon after by slices of peppery chorizo sausages, roast potato croquettes and pale tasty calamaris. In fact you can just about spend your whole supper appetite in here for the price of a few drinks. I tucked into a slightly spicy portion of pimientos de pardon – fried small green peppers tipped in sea salt while escaping to the café packed area of La Latina, from the mid day sun, the kind that melts asphalt and watched the latest football news, something of which the Madrileños are mad about, on the small TV hovering up in the corner like a chattering bird. Whilst the scorching summer temperatures in the city during July and August probably discourages the more active daytime sports, (although it is said they do count love in the afternoon siesta as one) those that live here catch up in the evening stroll where entire extended families promenade, wishing each other Buenas Tardes or good afternoon despite it going on bedtime for the rest of Europe. “La Marcha”, is for the younger or those with mas energía and is the all night activity of looking for fun that can leave you coming home often after a night of drinking and dancing in bright morning sunshine. Thus, the key to Spanish time is don’t peak too early, having your dinner after 10:00 is the norm and don’t even bat an eyelash at leaving home after midnight to start your evening. Although, upon saying that, you won’t be hard pressed in finding somewhere to spend your night as outdoor cafes are packed in the early hours and the live music scene here is burgeoning with everything from Brazilian samba, heavy metal and traditional flamenco. 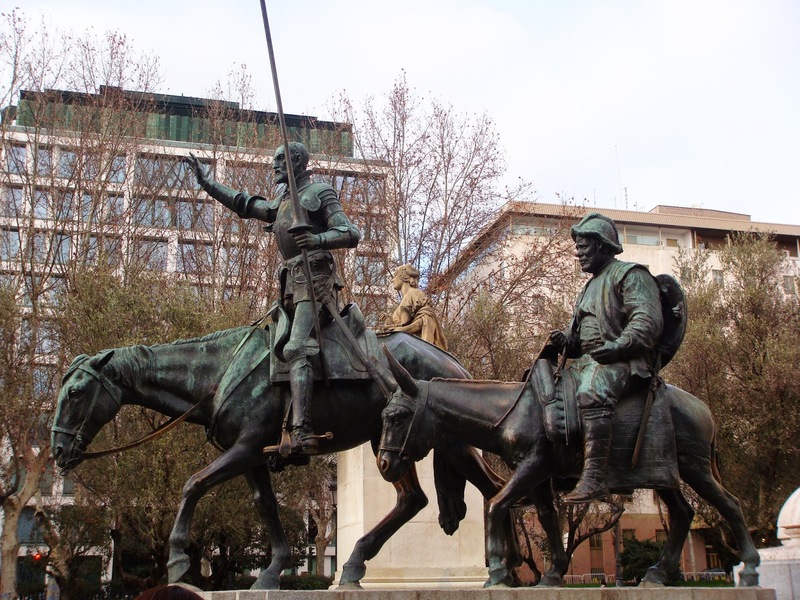 In comparison to the other cities of Spain, Madrid is the younger brother as the Moors from North Africa only formally settled it in 852 A.D. The Christian conquest of the area in the 11th century prompted centuries of royal squabbles and political wrangling continuing through the reign of Queen Isabella and Ferdinand and the likes of Napoleon, several civil wars and the dictatorship rule of generalissimo Franco in the 1930’s to 70’s. Spain’s democracy of the last thirty years, now with 21st century problems to deal with, has bridged a turbulent modern history of isolation from the international community during its dictatorship. As well, although the monarchy is generally a figurehead in political power terms, this week, the Madrileños who love a fiesta, are about to be celebrating a coronation in a few days on June 18th 2014 on the occasion of King Carlos´abdication (after 39 years rule) in favour of his son Prince Felipe VI, who is actually married to a divorcee, ex-journalist and non blue blood! So brushing aside traditional social conventions have been embraced here just like in its politics. As almost a visual clue to this flux, the avenues are a mixture of old and new and a walk around its centre (a small and easily managed one at that) shows this evidence of hundreds of years of great artistic wealth in all areas continuing on. This dichotomy of the ages is best seen in the art gallery Centro de Arte Reina; the permanent collection notably houses Picasso’s heart rendering civil war epic Guernica. The gallery itself a 20th century glass convection that is intertwined with the 18th century build General hospital. Of course if it is art galleries you want then a necessary visit to one of the world’s greatest is in order. The Prado’s collection of Spanish painters in unrivalled and as you wander about the Picasso’s, Goya’s, and Velasquez’s you will covet this city’s treasures. It is no wonder the Madrileño is filled with such love of their city, even the most dumpy woollen coated matron seems to walk to the market with a heavy assertiveness and if you do follow them and watch them fill their chequered shopping buggy with the cornucopia mouth watering produce known to Spain you’ll understand this pride. If it’s a Sunday you might even slip down to the 500 year old market place itself, The Rastro (meaning The Trail, a nod to the streams of blood that were from surrounding slaughterhouses), which in essence, a giant car boot sale with great hole in the wall tapas bars, boutiques and stalls selling all sorts. Mixing with the crowd who was stocking up on touristy Torro Tee shirts or browsing through the North African leather bags and shoes filled my morning happily in this thriving throng. If it’s more trendier stuff or a better clothes selection, head to Los Austrias around the Plaza Mayor. 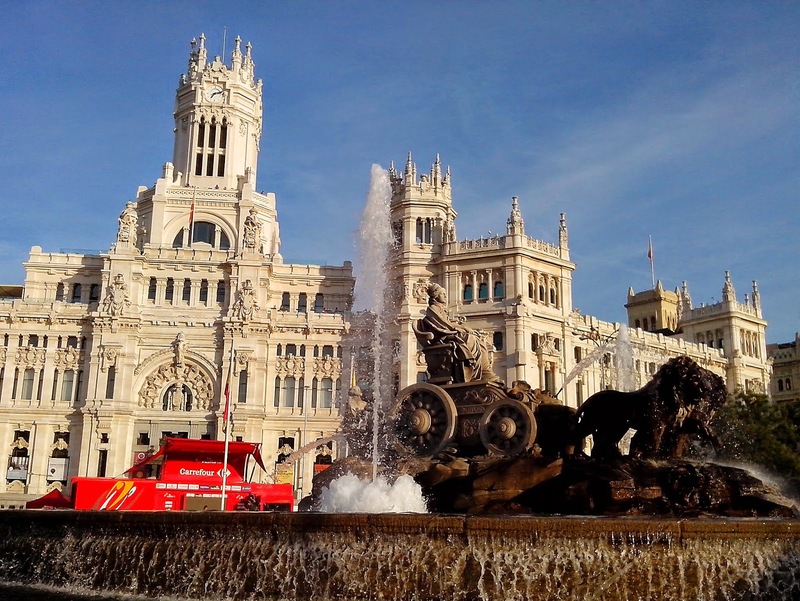 This recognizable part of the city, a vast red hued plaza from the 16th century is filled with outdoor restaurants, street artists, wandering accordion players and if lucky some of Madrid’s free city festivals. I ventured by in the week of San Isidro (Madrid’s patron saint) and was treated to a free musical concert and a heaping portion of cocido, (a traditional stew of the city) ladled out by a neatly trimmed bearded chef who winked broadly and enticingly held out another spoonful with a “mas?” (more?). From here it is a short walk to the Catedral de la Almudena, spot lit at night a yellow green, highlighted by an indigo sky and the official royal residence Palacio Real and where there are some good panoramas of the city. At some point you’ll also hit Puerta del Sol, a busy hub of shops, patisseries (Footballer David Beckham supposedly bought his treats in one on the corner) and where to spot the famous bear and the strawberry tree sculpture, a modern interpretation of Madrid’s ancient coat of arms. After a day trolling around like this I exhaustedly gave my feet a break in one of the many excellent tree lined parks, and being close to the Prado I chose the Retiro. With its bucolic atmosphere of shady benches, grassy nooks and a lake to paddle in, I took part in the integral part of Spain, the siesta and nodded off watching the rest of Madrid frolic around me in the setting sun getting ready for a full night ahead. 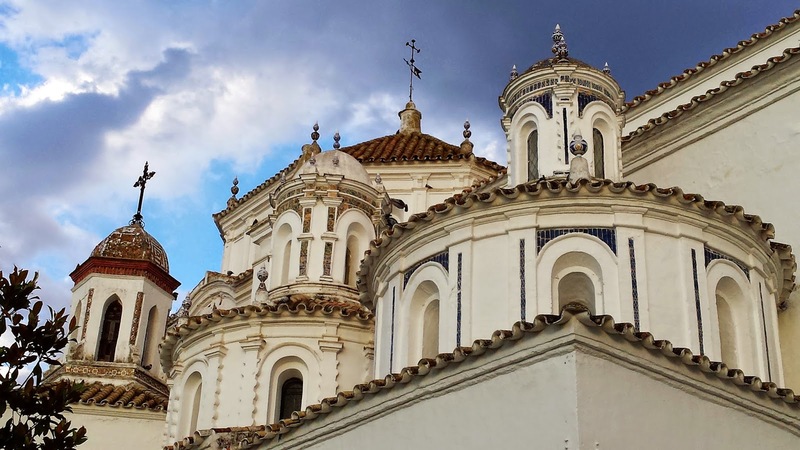 Travel Tips : Use Madrid´s excellent train connection to get south with direct high speed train access to Sevilla , Malaga or Cordoba the jumping off point for our bike tours in the south. See www.Renfe.com for more information on train travel south or north. Web Info: The City of Madrid runs the website www.munimadrid.es, for further information. When to go: There is a saying here that the weather here is “6 months of winter (invierno) and 3 months of hell (infierno)”. Whilst this expression is a trifle harsh, December, January, and February can be cold, with July and August being particularly warm. 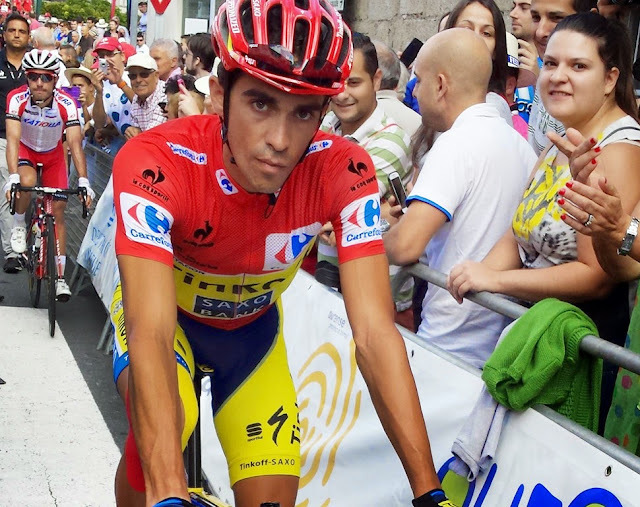 Thus the autumn months and spring can be delightful times to visit especially if you coincide it with the end of La Vuelta, the Bicycle race of the Tour of Spain which generally ends racing down Madrid´s street to the final spot - Plaza de Cibeles (aside from in 2014 when it will be ending in Santiago de Compostela). Of course, there are also plethora of fiestas throughout the year for you to partake in, making it a year round destination.